Have you ever been away on vacation and returned to find that your power went out and your basement flooded? Or have you ever been snowed in when the power goes out, and now you are without heat until electricity is restored to your home? When the power goes out, due to inclement weather or overload on the power grids, An Automatic standby generator will true on with no effort on your part. Anytime it’s needed, day or night, with you inside or out of your home, your generator can be set to switch on and keep your home functioning. With a Generac backup generator, installed by Suburban Services Group, you will not have to worry about these potential disasters happening to your home. The Generac Guardian Series home standby generators give you peace of mind that your home will have power allowing you to go about your life stress-free. Generac’s automatic transfer switch ensures that your home has power within moments of a power outage, whether you are at home or not. 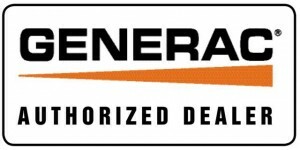 Generac engineers and builds all of their generators for home and commercial use in the United States and offers a five-year limited warranty. Suburban Services Group has a selection of Generic automatic standby generators and provides expert sales, installation, and services to Albany, Schenectady, Troy, Saratoga and the Capital Region of New York. NO need to refuel, your generator will run on existing gas or LP fuel line, and the power supply is connected right to your home’s electrical panel, eliminating the need for running extension cords.